With little skill, surprisingly few ingredients, and even the most unsophisticated of ice-cream makers, you can make the scrumptious ice creams that have made Ben & Jerry's an American legend. 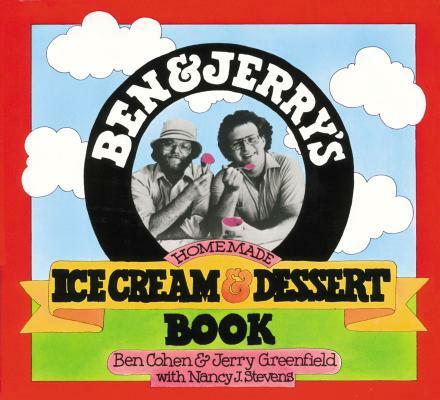 Ben & Jerry's Homemade Ice Cream & Dessert Book tells fans the story behind the company and the two men who built it-from their first meeting in 7th-grade gym class (they were already the two widest kids on the field) to their "graduation" from a $5.00 ice-cream-making correspondence course to their first ice-cream shop in a renovated gas station. But the best part comes next. Dastardly Mash, featuring nuts, raisins, and hunks of chocolate. The celebrated Heath Bar Crunch. New York Super Fudge Chunk. Oreo Mint. In addition to Ben & Jerry's 11 greatest hits, here are recipes for ice creams made with fresh fruit, with chocolate, with candies and cookies, and recipes for sorbets, sundaes, and baked goods.